Apple Final Cut Studio training guru, Larry Jordan, is pleased to announce the release of the first ten of more than 60 micro Final Cut tutorials now available at http://www.YouTube.com/user/LarryJordanFCP. Jordan’s teaching delivers creative, yet thorough training in Final Cut for professional as well as home users, giving his fans a competitive edge. Larry Jordan, an internationally renowned, Apple Certified Final Cut Studio trainer, announced the release of the first five of more than sixty Final Cut micro-tutorials are now available on Larry Jordan's YouTube Channel. These 3 to 5 minute mini-trainings include answers about compression, motion, audio, and workflow. Specific topics include videos about compressing video headed for YouTube, two ways of creating WMV files for Windows using a Mac, and simple ways to arrange icons in Final Cut Pro that most users don’t know. Micro-tutorials provide answers to a vast array of questions commonly asked about all aspects of Final Cut Studio. Five new episodes will be posted each week. 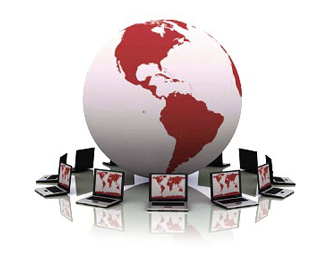 The micro-tutorials are the result of a free holiday question/answer webinar Jordan hosted in December 2010. Jordan decided to experiment with a new way to deliver video answers to questions offered during the webinar, and the micro-tutorial was born. Jordan’s teaching delivers breakthrough training in Final Cut for professional as well as home users, giving his fans a competitive edge. He has a way of teaching that provides most of his students with an “ah ha!” moment of understanding that comes with learning a better, faster, and more efficient way to edit in Final Cut. His trainings are at once concise, comprehensive, and entertaining. One fan called him, “America’s Final Cut Guru,” but visitors to his websites and training, as well as subscribers to his Free Monthly Newsletter, are literally from every corner of the Earth. Larry Jordan is an internationally-renowned consultant and Apple-Certified trainer in digital media with over 30 years experience as a television producer, director and editor with national broadcast and corporate credits. His informative and entertaining teaching style provides video editors around the world with unique techniques, methods and resources to increase productivity and enhance their skills. Based in Los Angeles, he's a member of both the Directors Guild of America and the Producers Guild of America. Jordan writes and edits the monthly FREE Larry Jordan Final Cut Studio Newsletter, which provides essential information to the interested user of Final Cut. He is the author of hundreds of hours of online training and five books on Final Cut Studio. Jordan is also executive producer and host of the weekly interactive internet radio show and podcast, Digital Production BuZZ, providing everything you need to know about digital media, production, post-production and distribution now and in your digital future http://www.digitalproductionbuzz.com. 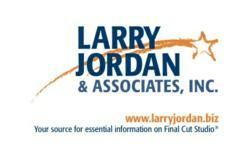 For more information about Larry Jordan, please visit http://www.larryjordan.biz.